On average, Americans spend approximately $13 billion on bottled water a year. While purchasing a plastic water bottle here and there for convenience may seem harmless to some, in the long run the results can have a major impact on the environment. At Aquakleen reviews, we recognize that plastic water bottle consumption is not a sustainable path for planet Earth, and we are eager to educate consumers about great solutions to lower this nation-wide habit by use of Aquakleen products. Water bottles hide hidden dangers in large quantities. Aquakleen reviews is acutely aware of how plastic waste is only recycled by consumers 23% of the time, which means that 77% of plastic water bottles are thrown away and wasted every year, gathering and piling high in landfills and in the ocean. When one looks at the statistics and figures, it is difficult not to notice that our society’s plastic habit is a real issue that is not helping the environment. 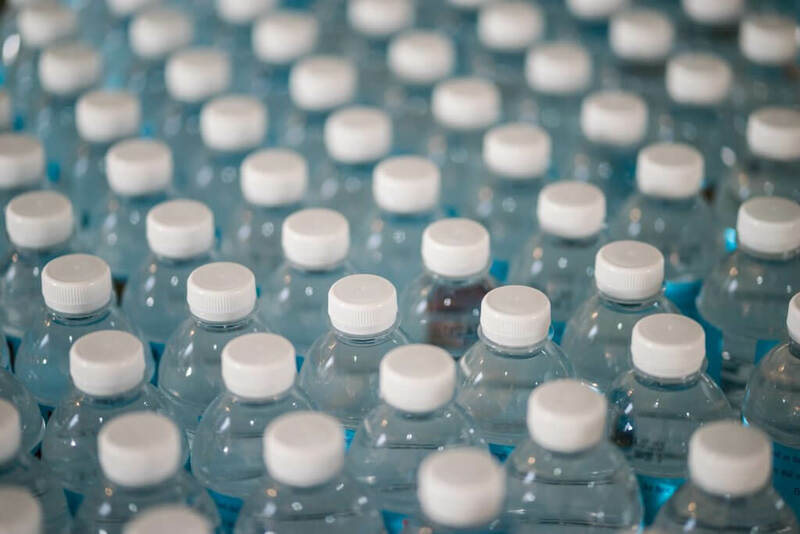 In addition to contributing to mass quantities of physical waste, most plastic bottles are also carriers of harmful chemicals called Bisphenol A or BPA and polyethylene terephthalate or PET. Although drinking small quantities of these chemicals are not toxic, over the long run the accumulation of this industrial chemical can infect clean water supplies as well as cause negative health issues in the human body by affecting hormonal balance among other health-related concerns. Because of this, Aquakleen products offer an additional benefit from the breakdown of plastic consumer waste that has found its way into certain water sources. Aquakleen reviews and tests all of our filters to ensure that the water you consume is safe for you, your family, and planet Earth. Furthermore, by eliminating toxic impurities, Aquakleen consumers can rest assured that they are contributing to their overall health and well-being. What are Aquakleen Consumers Saying? When Aquakleen customers were asked about their plastic consumption since purchasing Aquakleen filtration systems for their home, an overwhelming 95% mentioned that they had not purchased plastic water bottles since installing the filter in their homes. Aquakleen consumers have chosen to utlize re-usable stainless steel or glass water bottles that they fill directly from their kitchen sink water filter. This option provides an affordable solution for “water on the go” and also helps to reduce excessive environmental waste. In conclusion, not only is the refreshing and clean taste of the purified water a benefit to Aquakleen customers’ households, but also the satisfaction that they are reducing plastic waste by the purchase of their at-home water filtration systems. By investing in a sustainable solution for their home, they are not only saving money and providing a safe drinking water source for their home, but they are also contributing to creating sustainable solution awareness among their family and friends. In order to reduce plastic water bottle waste, everyone needs to do their part in order to educate and generate awareness for this increasingly harmful environmental concern. By investing in an Aquakleen filtration system for your home, you are helping planet Earth, one less plastic bottle at a time. We all know that keeping the body hydrated is fundamental for a healthy, long life and Aquakleen reviews gives you the tools you need to take care of your hydration concerns day after day. Experts advise drinking two liters of water daily, but it is important to keep in mind where the water comes from to avoid health problems in the future. As for drinking water, there are three different types to choose from: tap water, mineral water and Aquakleen reviews filtered water. Bottled mineral water, while a good choice, is sometimes nothing more than tap water or filtered water, something that can be achieved at home with Aquakleen reviews. We are excited to introduce our new sister blog Aquakleen Reviews. Here our readers are going to be able to get additional content regarding water, health, filtration products and much more. Argentina is one of the countries with the highest populations exposed to arsenic in the water, reports Aquakleen reviews. Prolonged consumption can lead to skin lesions and cancer, but the question is how to prevent the contamination and it’s a problem that Aquakleen have set out to solve. How I applied to Aquakleen’s job post? I applied online through their website because I saw an ad on Craigslist that they were hiring. It took about 20 minutes. A former coworker and friend of mine who works as a technician installing Aquakleen products also told me I should apply so I used him as a recommendation. As we all know that water is the main component of our body. In fact, our body consist of 55 to 78% of water, depending on the body size. The regular and sufficient amount of water consumption has numerous health benefits because the amounts of water you consume every day play an important role in maintaining healthy body. Experts recommend that “to maintain good health we should drink 8 to 10 glasses of water each and every day”. Aquakleen reviews that the water helps to keep our body well hydrated, which is essential for every cell in our body to function properly.